I've been suggesting to friends / self-publishers recently that they not put all their dependence on Amazon for sales. While that's where many customers want to shop, not all shop there. Look for diverse markets. Here's a great article from Publisher's Weekly on the topic. Fear that Amazon will come to dominate the bookselling market is nothing new in the publishing industry. But last week, as booksellers continued to decry the company’s price check app (which could be used to access prices on booksellers’ sideline items, like toys and DVDs) and as information about Amazon’s aggressive demands to publishers regarding co-op and retail discounts surfaced (PW Daily, “Is Amazon Pushing Publishers to Brink on Terms, Co-op?” Dec. 15), some insiders began suggesting that the time had come to actively explore ways to lessen publishers’ dependence on the e-tailer. With this in mind, PW asked a number of people in the industry what the best course of action would be. The consensus was that developing and supporting initiatives that would create a more level the playing field would be the best approach to ensure a diverse marketplace. Here's a sample of the books that came in for review this week. 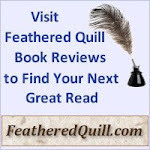 Check them out and then stop by our review site, Feathered Quill Book Reviews, in a few weeks to check out the reviews. Letters to Zerky: A Father's Legacy to a Lost Son . . . and a Road Trip Around the World by Bill Raney Both a memoir and a memorial, these collected letters and diary entries recount one family’s adventurous journey in 1967 attempting to drive around the world in a VW bus. Not intended as a book at the time of the writing, the intimate and poignant story details the family’s travels through Europe, the Middle East, and into Asia, challenging preconceptions about different cultures and illuminating how one-year-old Zerky had a magical effect on everyone they met along the way. The book features maps and pictures of the trek yet is more than just a travelogue; Zerky and his mother died shortly after the trip and this narrative serves as tribute to their lives. The Crown by Nancy Bilyeau Joanna Stafford, a Dominican nun, learns that her favorite cousin has been condemned by Henry VIII to be burned at the stake. Defying the sacred rule of enclosure, Joanna leaves the priory to stand at her cousin’s side. Arrested for interfering with the king’s justice, Joanna, along with her father, is sent to the Tower of London. The ruthless Stephen Gardiner, Bishop of Winchester, takes terrifying steps to force Joanna to agree to spy for him: to save her father’s life she must find an ancient relic—a crown so powerful, it may hold the ability to end the Reformation. Accompanied by two monks, Joanna returns home to Dartford Priory and searches in secret for this long-lost piece of history worn by the Saxon King Athelstan in 937 during the historic battle that first united Britain. Almost a Senior by Brenda Faye Collie This a fast moving story with great characters about a girl who is a Junior in a fictitious Harlem High School. The book tells the reader what Loresha must do once she is elected president of the student body. It's a Big World, Little Pig by Kristi Yamaguchi Poppy, the adorable, persistent, dreaming-big pig, has a new adventure in store for her: the World Games ice-skating championship in Paris! Poppy is nervous about meeting so many new people, in a new place. But, ever courageous and supported by her family (Emma, too! ), Poppy embarks upon this exciting adventure head-on! Poppy begins to realize that although these animals look different, act different, and are from different places, they are all the same at heart. We all smile in the same language! 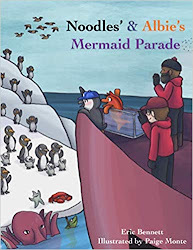 Peep in the Deep: A Sea Creature Counting Book by Richard Miller Smith Beneath was a peaceful, quiet place when barely a peep gave way to something in the deep. Your child will love learning their numbers with this bright, and colorful book. Watch the ever growing number of sea creatures chase their former group across the pages 'til the last but not least! Each spread displays each group and number in a large, easy-to-read typeface. Facing economic gloom and competition from cheap e-readers, brick-and-mortar booksellers entered this holiday season with the humblest of expectations. For the rest of this NYTimes article on shoppers' trends this Christmas season, follow the link. I recently had a very enlightening discussion with Jane Friedman, a University of Cincinnati professor and author of The Future of Publishing: Enigma Variations. Jane’s the former Publisher of Writer’s Digest and author of Beginning Writer’s Answer Book. And with more than 135,000 Twitter followers, she’s among the most influential thought leaders in publishing today. To Read the rest of this article, go to the Children's Book Insider website. First there were the bookstore chains, then Amazon, then digital books, all seeming to threaten the very existence of the brick-and-mortar bookstore. Yet, in the wake of the recent closing of the Borders bookstore chain, a new surge of independent booksellers is rising, seemingly against all odds. Just before Thanksgiving, Paz & Associates, a bookstore training & consulting group, helped open Mitzi's Main Street Books, an independent bookstore in Rapid City, South Dakota. The owner, Ray Hillenbrand, opened the store as part of a new Main Street Square, which was developed to rejuvenate the area and make it more of a destination. "The opening of Mitzi's bookstore shows how entrepreneurs and developers now regard an indie bookstore as a 'must have' in rebuilding their town centers," Donna Paz Kaufman observed. "Consumer surveys consistently show that locally-owned independent bookstores are one of the most desirable businesses," she continued. "It's not just the closing of Borders that is fueling the resurgence of independent bookstores," says Oren Teicher, CEO of the American Booksellers Association, "but a more complex array of factors including the growing national acceptance of the "shop local" movement; an extraordinary level of innovative and creative entrepreneurship; a sophisticated use of social networking; easier access to Small Business Administration loans; a willingness to adapt to changing retail trends including selling both print and digital books online; and, most importantly, continuing to be an unmatched source of credible information about books and authors." "We are a gathering place for the community," says Kiona Gross, who left a job at CNN to open The Curious Cup, a children's bookstore in the seaside town of Carpinteria, California. Gross organized a 'shop local' day in her store on November 26, part of the American Express Small Business Saturday campaign that successfully highlighted the general public's awareness of the importance of local merchants across the country. "We strive to be community-centered. We sell tickets for the local theater, we hold chamber luncheons, and meditation classes. We are all about the community." "Not a day passes that someone doesn't come in to say how happy they are that we're here, says Janet Geddis of the Avid Bookshop in Athens, Georgia which opened in September. "Loud cheers, applause, and even a teary-eyed thank you show how much people in Athens have embraced Avid Bookshop and have led us to a stronger start than I'd ever imagined," Geddis added. Nikki Furrer, a former lawyer, opened Pudd'nhead Books in Webster Groves, MO in 2008. It was named the 2010 Riverfront Times Best Indie Bookstore in St. Louis and the 2010 St. Louis Magazine A-List and "Most Amusing Bookstore" in the St. Louis area. Furrer, a believer in indies and shopping locally, was also instrumental in developing the St. Louis Independent Booksellers Alliance. "My family has all started businesses themselves, so I knew that opening a bookstore was going to be a lot of work for not a lot of money, and it would be that way for years. But I also knew that the work would be worth it. The rewards are feeling like my work makes a real difference, watching kids and adults alike grow into readers." 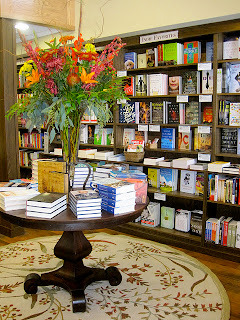 "What indie booksellers can do that gives them a competitive edge over any online retailer or big-box store is to create a comfortable atmosphere that is inviting and facilitates interaction and events that contribute to the life of the community," suggests Ted Baylis, owner of the leading bookcase manufacturer, Franklin Fixtures. "Add to this an online presence, social networking, and the ability to sell everything, including competitively priced e-books on their websites, and you really have a winning combination. The future is Clicks & Bricks, to have the deep resources that come with an online sales capability plus the ability to create both virtual communities and physical gathering places that are local in nature and where store staff, customers and special guests can share their knowledge and experiences." "With inventory that is hand-picked to suit the needs of its local customers and events that bring the community together, a locally-owned bookstore can provide a special sense of place." says Donna Paz Kaufman, of Paz & Associates, who runs a five-day bookselling school for booksellers in training. 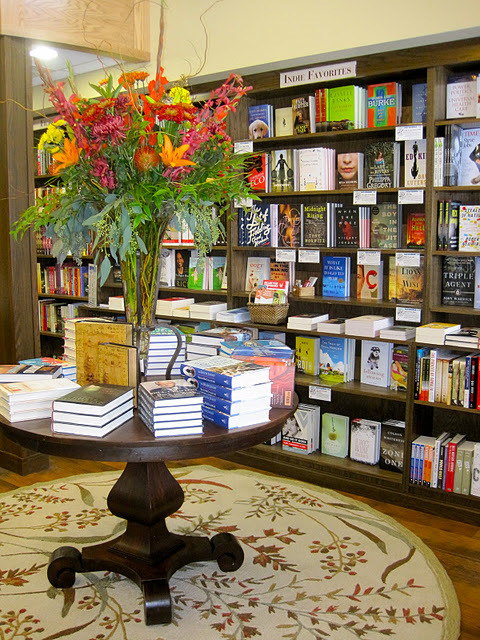 "Now is an excellent time to open an independent bookstore. The demise of Borders has created both demand and opportunity for an all-new variation of an old-fashioned independent bookstore -- small, cozy places with a sense of community and neighborhood that creates local connections." 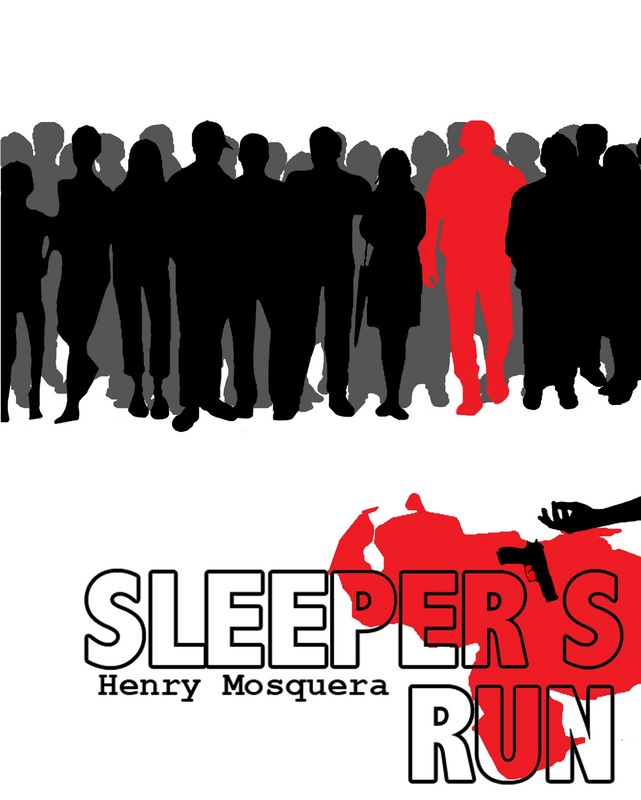 FQ: Your book, Sleeper's Run, is fantastic. It's a mystery to me, speaking as the parent of an author, why good writers, like yourself, have to self-publish. In this economy, the Big Six don't seem to want to take on new authors. How was your experience in the world of self-publishing? Thank you so much. I’m always elated when people enjoy my work. To be honest, how and why the industry chooses the works they publish is a mystery to me as well. The obvious answer seems to be current trends. I’m sure if I were writing about vampires or zombies, with the tween demographic in mind, I’d have a better chance of getting published. A few years back, it was cryptic, conspiracy mysteries that had their day in the sun. As we stand today, political thrillers have been largely relegated to established authors. Apparently, the industry thinks there’s no room for new blood in this genre. It seems to me that publishers have taken a passive position towards their business. They wait to see what hits and then they flood the market with it. When people get tired of it, they move on to the next thing. The days of publishing houses investing in a writer’s potential are long gone. It’s all about large, quick returns now. My experience in self-publishing has been interesting, if not eye opening. I received 183 rejection letters from literary agents. After over three years of work researching, writing and polishing my work with editors, I found myself with two choices: either quit or do it myself. I love the creative control and the freedom of self-publishing. The downside is that you essentially have to run your own company and that takes away a lot of time and resources from writing. 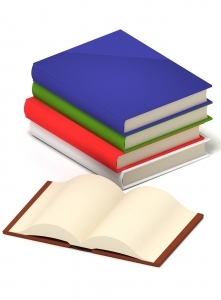 The book is only 10% of the work; the rest is all about selling it. 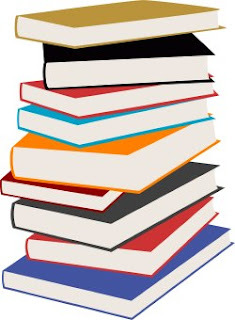 When I’m asked, “What are you working on now?” the answer is “selling my novel.” Then again, if I had gone through a publishing house, I’d have to do all the promotion work anyway for less than 10% of my book’s returns. FQ: The genre of Mystery/Thriller is a personal favorite of mine. You did a great job describing everything this poor man went through. Are you planning any others in this genre? Thank you, that’s very kind of you. I’m partial to thrillers as well, but I do want to dwell in other genres. Maybe something that requires less research. I have a couple of novels in the pipeline, but right now, everything is taking a backseat to selling Sleeper’s Run. I probably won’t be going back to thrillers for a while. FQ: You must have had to do ample research on PTSD and brain washing techniques. Did you visit any of the places talked about in your book? I researched the novel extensively. The knowledge of post-traumatic stress disorder came primarily from talking to people who have dealt with it. Since I’m an unknown author, I thought it disrespectful to directly interview people regarding this issue. We’re talking about something very serious and to make someone open up about this for a novel didn’t sit well with me. So, I learned about it from the periphery. Talking to the friends of those affected, reading about it and watching documentaries on PTSD. The problem with post-traumatic stress disorder in the military is that it’s the veritable elephant in the room. It’s there, but nobody wants to talk about it. We have a generation of soldiers returning home with this malady and little has been done to solve it. There is a great documentary called Wartorn 1861-2010 that talks about the very real and ignored issue of PTSD in soldiers. For the brainwashing techniques, I started my research when I watched a documentary about the CIA secret experiments using LSD, psychic drive, hypnosis, etc. to program people. Some of these experiments involved using unwitting Americans. This blew me away, so I started digging deeper and found some fascinating items regarding mind control. Some of the modern elements like the hypothetical use the drug Propofol to induce selective amnesia, and the rudimentary possibility of mind reading technology through the use of functional magnetic resonance imaging (fMRI), really fired up my imagination. To me, the plausibility of brainwashing isn’t as important as the issues it represents in the book: black budgets, operations lacking congressional oversight or accountability (black ops), interventionist policies, an ends-justify-the-means mentality, corruption, greed, and the denial of human or citizen rights; I can go on. That’s what’s really important and extremely relevant about the novel. Sleeper’s Run is one of those stories that can be fun and entertaining, but it can also stimulate very interesting conversations. It all depends on the reader. FQ: I am a huge fan of Inglourious Basterds too and also a fan of books written about World War II and during that time frame. Have you thought about heading into this area? If you do, I'd surely be interested. Not as novel. Although, it’s quite an interesting time. I loved The Eagle Has Landed. That mixture of history and fantasy is right up my alley. I had an idea for a comic book dealing with WWII and also an unrelated screenplay, but no books. You never know, though. I might bump into something that captivates my imagination and a book might ensue. FQ: So many novels have been written about the War on Terror. How did you come about writing this stellar novel, using this theme and still making it new and so readable? That’s a good question. Maybe because it doesn’t really deal with the War on Terror per se and more with elements that relate to it directly: the mentality behind it, certain stands on how geopolitics are conducted, questions on patriotism and ethics, collateral damage (which is not limited to the battlefield) and the impact of the war in our society and the world at large. After all, Sleeper’s Run is a work of fiction based on non-fiction sources. It’s sort of genre fiction with literary fiction aspirations. Also, I come from a different country and I’ve been influenced by different cultures. That sets me apart right from the get go. I tend to see things in broader terms. A lot of political thrillers read like a mainstream comic book. They have a one-sided point of view and are ethnically homogenous; nothing is questioned and everything seems to be justified. The characters are divided into good guys and bad guys, and they only exist to serve the plot. Sleeper’s Run is a departure from all of that. FQ: I usually ask about pets but, you already answered that question in your bio. Anyone who has animals is OK in my book. However, I'm glad you put your wife first. Did your wife have any input in the writing of this novel? The book’s dedication says it all. She has been my greatest supporter from day one, but she was also my harshest critic. My wife wanted me to do the best I could and would not settle for less. She knew my aim was to be as accurate and as realistic as fiction will allow me to be, so she was very critical of what ended up on the page. You can easily say she was the first editor I worked with on the book. She’s an amazing writer, but has no interest in pursuing it despite my repeated efforts to change her mind. It’s really a shame. I don’t think watching me going through my trials and tribulations in self-publishing has helped much either. It may sound cliché, but writing is a very lonely process, and if you self-publish it’s literally you vs. the world; having someone by your side who loves and believes in you makes a huge difference. 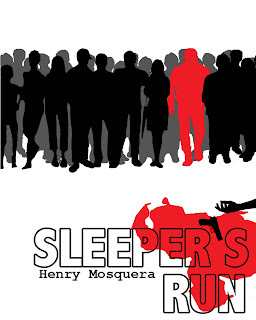 To learn more about Sleeper's Run please read the review at: Feathered Quill Book Reviews. Here's a Wall Street Journal article detailing how a self-published author sold 400,000 (!) copies of her debut novel. Yow-za! We should all be so lucky! In response to Amazon's new price check app, ABA CEO Oren Teicher wrote an open letter to Jeff Bezos with his thoughts. You can read the letter here. Interesting article about this year's sales performance and what John Markinson, Penguin's Chief Executive, forecasts for next year. Read here. There's going to be a new guy in town - a new place to sell your e-books. Set to release to beta testing in about 6 weeks, Bilbary hopes to give Amazon and B&N.com some stiff competition. Good news for publishers who will have another option for selling their ebooks. Check out Bilbary's site for more info. Interesting article about e-book trends and the more or less flop of "extras" added to digital books. 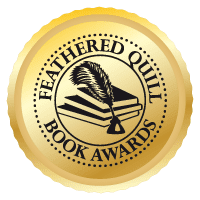 Note that Feathered Quill Book Reviews has no connection to this award competition. Posting the information here does not mean we endorse or have any knowledge of the competition. We post it to get word out and ask that authors do their own research about each and every competition. LOS ANGELES _ The 2011 DIY Book Festival has issued a call for entries to its tenth annual competition honoring independent book authors and publishers. The 2011 DIY Book Festival will consider entries in cookbooks, science fiction, non-fiction, fiction, biography/autobiography, children's books, teenage, how-to, audio/spoken word, photography, art, comics, 'zines, fan fiction, poetry and e-books published on or after Jan. 1, 2007. *** Please note that authors with iUniverse, Infinity Publishing and other print-on-demand outlets are eligible for the DIY competition. Our grand prize for the 2011 DIYBF Author of the Year is $1500 cash and a flight to Los Angeles for our gala awards ceremony at the Roosevelt Hotel, home of the first Oscars, in March, 2012. The event is part of the 11th annual DIY Convention: Do It Yourself in Film, Music & Books. 2) DIY Book Design of the Year - Honors outstanding and innovative design. 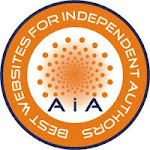 3) DIY Independent Publisher of the Year - Honors the top publisher based on materials displaying excellence in marketing and promotional materials, as determined by our judges. 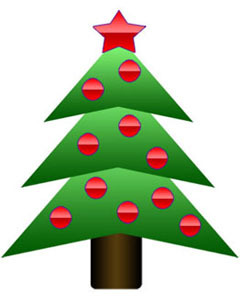 Deadline submissions in each category must be postmarked by the close of business on January 25, 2012. 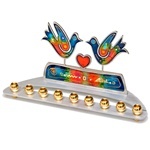 Winners in each category will be notified by e-mail shortly after the final entry deadline. Please note that judges read and consider submissions on an ongoing basis, comparing early entries with later submissions at our meetings. TO ENTER: Entry forms are available online at www.diyconvention.com or may be faxed/e-mailed to you. Look on the right hand side of the page and click on the red "register" button underneath "2011 DIY Book Festival." Please contact our office for fax requests. Applications must be accompanied by a non-refundable entry fee via check, money order or PayPal online payment of $50 in U.S. dollars for each submission. Multiple submissions are permitted but each entry must be accompanied by a separate form and entry fee. 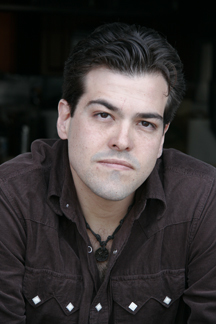 AWARDS: Winners of the 2011 DIY Book Festival will be honored at a gala ceremony held in Los Angeles. You do not need to be present to accept your award or accompanying prizes. Analysis Talk about an inconvenient fact. A survey into US attitudes to internet piracy shows strong public support for blocking access to websites guilty of serial copyright infringement. No fewer than 58 per cent support the idea of ISPs blocking the pirate sites, and 36 per cent disagree with this. Of the respondents, 61 per cent want sites like Facebook to take more action to screen for infringing material. For the rest of this article, follow the link to "The Register." Why Might A Publisher Pull Its E-Books From Libraries? To read the rest of this very interesting article, please follow the link to the article. We're taking a few days off to celebrate Thanksgiving with our family and friends. Have a safe and wonderful Thanksgiving and we'll "talk" soon. Oh, and enjoy a good book while you're at it!! !